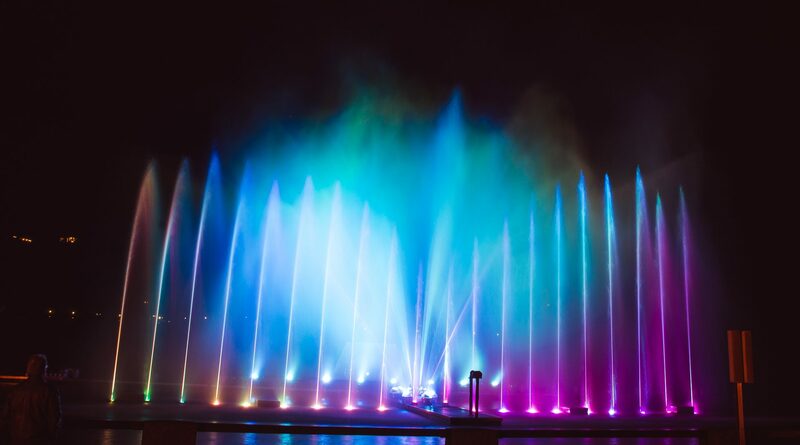 A magical show with dancing water beams, light, laser and music casts a spell over visitors to Lake Zell when the sun sets. An artistic display where the water takes centre stage and tells the audience the most beautiful stories about Zell am See and Kaprun. The Magic Lake Show on the bank of Lake Zell fascinates thousands of visitors from 16 May to 15 October three times a week. At 10 pm on the dot the (water) curtain is raised and it’s time to enjoy the magic of the free water show. The surface of Lake Zell, normally still and smooth, starts bubbling. 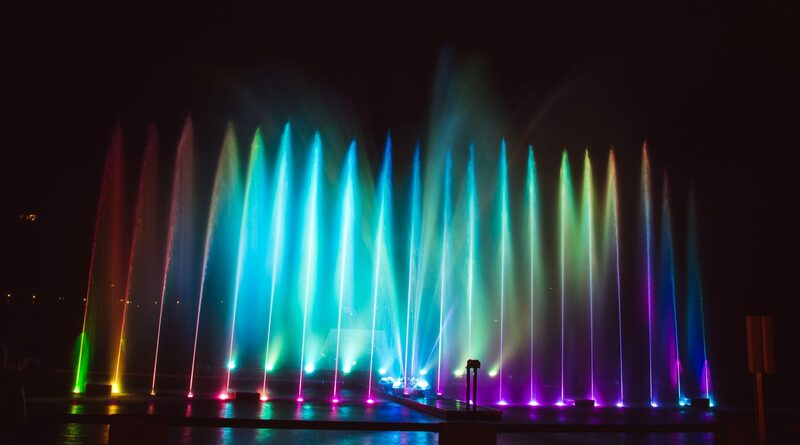 Water fountains shoot up and the water dances in time with the music, illuminated by light and laser beams. The first “oohs” and “aahs” can be heard among the spectators who have taken a seat in front of the bandstand on the waterfront. And by the time the moving images of the most beautiful spots in the region flicker across the water curtain, everyone has succumbed to the magic of the lake show. The three weekly shows each feature a different theme and music genre. There is excitement in the warm summer evening air. Where before sunset the local Schmittenhöhe mountain was reflected on the smooth water surface and electric boats cruised around at a leisurely pace, the water now comes alive. It shoots up from the depths of the lake, as though it had been waiting the entire day to show itself and be in the limelight. Over the speakers, a voice warns the audience that the first rows could get wet during the water show. But no one leaves as the fine spray, which sometimes reaches the bank, is a welcome opportunity to cool down and it instantly evaporates on the warm skin. “How wonderfully versatile water is,” I think after the water curtain drops and the moving images disappear. 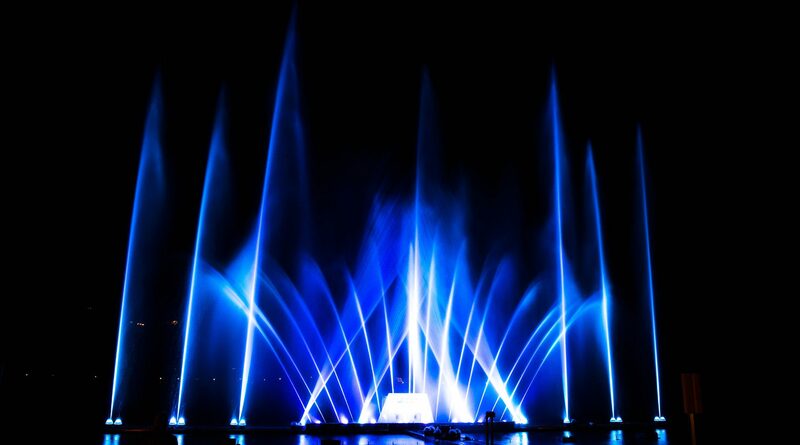 Pulsating, colourfully illuminated jets of water now light up the nocturnal lake in time with the music. The fountains look like ballet dancers and their wet stage is the water surface. The audience, bobbing their heads and tapping their toes in time with the music, is full of enthusiasm. The water seems to have come alive and the setting, at times wild, at times graceful, has cast a spell over the spectators. The music falls silent with the final beat and the last heavy drops of water can be heard pelting back into the lake. Where the water had just been boiling and bubbling, only a light ripple can now be seen on the surface of the lake. For a few seconds, the audience, mesmerised, stares at the water that is now as smooth as glass again before thundering applause pays tribute to the dancing “water spirits”. Just at that moment, a duck swims past, quacking, and immerses its head under water with a deep bow as though it wanted to claim the applause for the successful show for itself. Laughing, the audience gets up and silence returns to the bank of Lake Zell. Visitors can enjoy a small preview of the Magic Lake Show every day on the hour between 1 pm and 5 pm. The impressive evening shows take place in all kinds of weather, even when it rains, but this free entertainment programme on the bank of Lake Zell will be cancelled if there are strong winds or a storm.